You’ve come to the right place. These passes are for Spartans that really want to push it. Don’t miss out! Our special 2019 launch price for the first 100 Trifecta Passes is now available! What’s the UK Trifecta Pass? 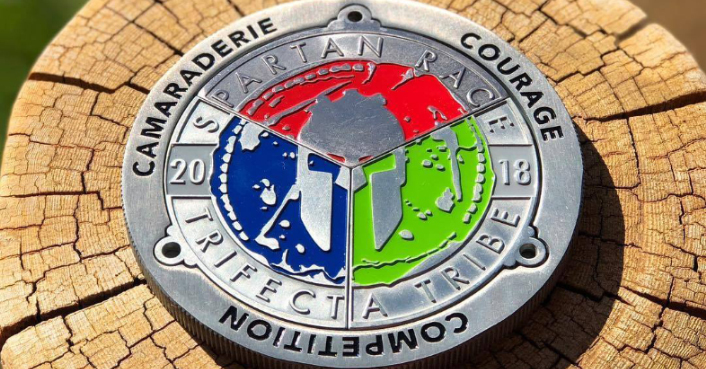 Become a member of the Spartan TRIFECTA Tribe by finishing one of each Spartan distance: Sprint, Super and Beast in 2019. The UK Trifecta Pass bags you a place at one Sprint, one Super and one Beast. You can complete the races in any order, but they must all be completed in one calendar year to get your coveted three-wedge Trifecta medal. Clear your schedule. We have multiple race weekends, and you’re invited to them all. Sprint, Super, Beast. Repeat. A Spartan UK Season Pass earns you access to every Spartan Race in the UK & Ireland in 2019* Push yourself beyond your limits. You’ll race twice some weekends, but you’ll take it in your stride. *Terms & Conditions* Multiple race passes apply to Spartan UK & Ireland Open Heats only. They are not valid for Endurance events (Ultra Beast, Hurricane Heat, Hurricane Heat 12 Hour, or Agoge) Stadion Races. You may upgrade to Elite for £30 or Age Group heats for an additional £20 per race. Want to prove you’re among the very best? Sign up for a UK Spartan Season Pass now and gain access to every one of our UK races in the season. *Disclaimer* Multiple race passes are not valid for Endurance events (Hurricane Heat, Hurricane Heat 12 Hour, or Agoge. Don’t miss out! Our special 2019 launch price for the first 100 Trifecta Passes now available!